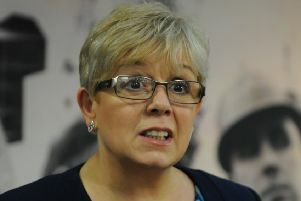 Coun Carole Burdis, cabinet member for Community Safety at North Tyneside Council. Concerns about anti-social behaviour in Whitley Bay can be aired at a roadshow next week. Organised by North Tyneside Council’s community protection team, the Respect Roadshow will offer help for those experiencing anti-social behaviour as well as crime prevention advice. Northumbria Police and Tyne and Wear Fire and Rescue Service will be in attendance, along with local charities and health organisations. It will take place at Park View Shopping Mall on Tuesday, March 27, from 11am to 2pm. Coun Carole Burdis, cabinet member for Community Safety, said: “The Respect Roadshows are a great way for us to engage with the local community and help us to address any concerns that residents may have. “These events have been very successful in the past; residents have found it helpful being able to speak to our staff and other agencies in person – and I would really encourage anyone with concerns to come along.